Long Sutton 173, Graves Park 97 - Long Sutton won by 76 runs. 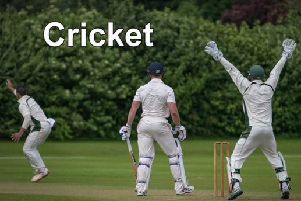 Graves Park CC began life in the South Lincs and Border League Premier Division with a 76-run defeat at Long Sutton. Following back-to-back promotions, the Kirton side met a tough opponent in their season opener. They return to action on Saturday, away at Spalding Firsts. The contest begins at 1pm.